The Galaxy Note 2 is right now one of the fastest, strongest and largest devices on the market and people are completely pleased with it. Even though it has such a large screen, it seems that Samsung has managed to make it very easy to use and avoid complaining customers. 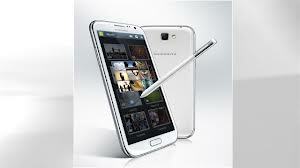 However, there have been several complaints regarding some common problems on the Samsung Galaxy Note 2. This time we are discussing about the slow Gallery app on Galaxy Note 2. It is known that the Galaxy Note 2 is extremely smooth and fast, however some users have been experiencing a very slow Gallery app. The images are taking too long to load and that’s not something you would expect from a phone such as the Galaxy Note 2. There are a few reasons why that happens, as not all users experience this. So it must be a problem related to other factors than the phone itself. We’ll try to explain some common fixes reported by some users hoping that this will fix your slow Gallery app on your Galaxy Note 2. First of all look at your sd card and see if it’s a high speed one or not. Slower sd cards may cause the slow Gallery loading. If this is not the problem, then there may be a problem with photo sharing and third party apps. For example, if you have Plex Media Server sharing your photos, this may really cause a lag in the Gallery. This is because the DLNA compatibility between, in this case, Plex and the Note 2 is not functional. You have to disable photo sharing on your Plex server and you will notice immediately how the Gallery loads a lot faster. Look for other photo sharing services that you might have and disable them. This is a common cause for slow Gallery app. Another solution that worked in some cases was to turn off Wifi on your device.Somehow the network was influencing the Gallery app and making it laggy. This may work but only in some cases. If you still don’t mange to fix your slow Gallery app, then you should think about installing another Gallery app from Play Store as the stock app still has its flaws.